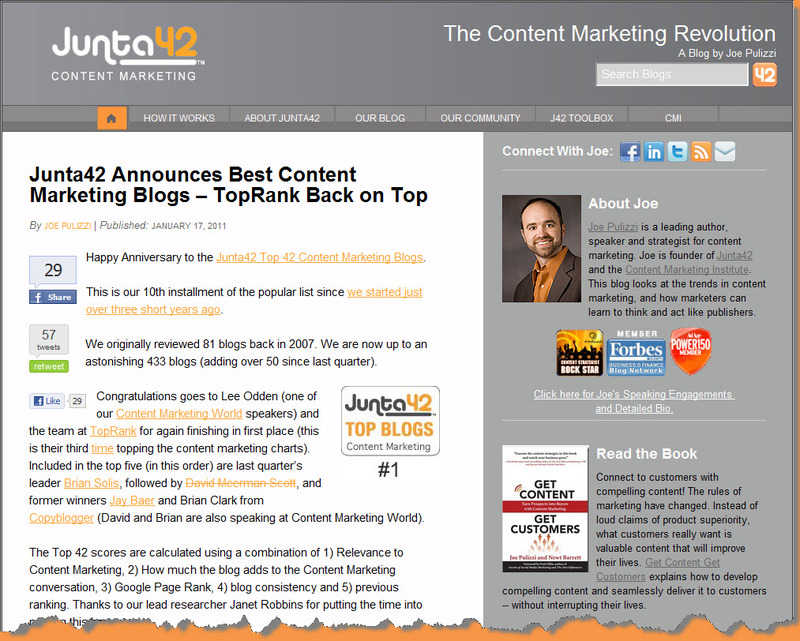 Simple Marketing Blog: Junta42 Best Content Marketing Blogs Updated! 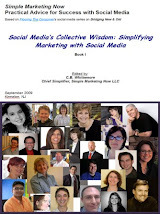 Yes, Junta42 has just updated its listing of the Best Content Marketing Blogs and I'm thrilled that Simple Marketing Now is included amongst the top 42! 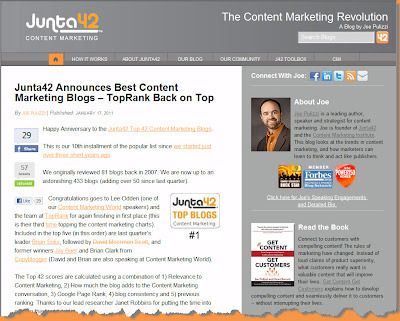 As Joe Pulizzi explains in his post titled Junta42 Announces Best Content Marketing blogs - TopRank Back on Top, this latest listing includes 433 content marketing blogs up from 81 in 2007. Impressive, no? However, even more impressive are those included in this top 42 listing starting with Lee Odden's Top Rank Blog [Congratulations, Lee!]. As Joe explains,"The Top 42 scores are calculated using a combination of 1) Relevance to Content Marketing, 2) How much the blog adds to the Content Marketing conversation, 3) Google Page Rank, 4) blog consistency and 5) previous ranking." I can't even begin to imagine what an intense undertaking this represents. Here follows the latest listing of the 42 Best Content Marketing Blogs! I recommend that you check each out. Enjoy exploring these fantastic content marketing resources. I guarantee no dull moments ahead for you! Note: Orange touches in honor of Joe Pulizzi. Great news and congratulations! A real testament to the excellent marketing strategies and guidance you simply apply! Kudos to you, C. B.! Thanks for the impressive article . Seo Services - you're welcome! Be sure to check all of these blogs out. You'll definitely learn a thing or 2.